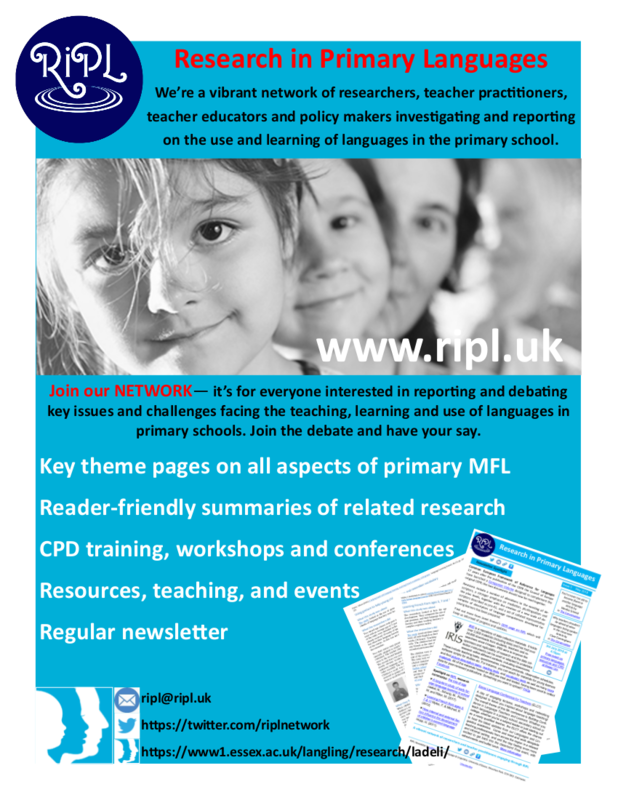 All the members of the RiPL network are involved in research, working on projects which relate to children and second language or foreign language learning. These projects are exciting, innovative and interesting. Here, we present some of our members and the work that they are currently engaged in, or planning for the future. Researchers and teachers, parents and carers, teacher educators and policy makers - combining expertise to make a difference to primary language learning. The research aims to better understand the nature of second language (L2) knowledge, what impacts on it and how it develops over time. The team want to know more about how we learn second languages and how this differs from the way we learn our native language, and how we can learn and teach foreign languages more effectively. Is it true that the earlier a child begins to learn a language in school the better the outcome? Professor Florence Myles chairs the RiPL network, which is hosted by LaDeLi, University of Essex.